June 6, 2001 . . . AMD Introduces World's Most Powerful 1.4GHz AMD Athlon™ performance processor, and the 950MHz AMD Duron™ processor. The 1.4GHz AMD Athlon based systems with Double Data Rate memory continue to outperform 1.7GHz Intel Pentium™ 4 systems by up to 40 percent. 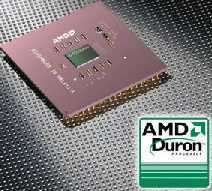 June 19, 2000 . . . Advanced Micro Devices launches the first members of its new Duron family of low-cost processors, running at 600 MHz, 650 MHz and 700 MHz. The Duron offers a speedier 200-MHz system bus, AMD's Enhanced 3DNow instructions and a larger on-chip memory cache than the K6-2. February 7, 2000 . . . Corel Corp. is taking over Inprise/Borland Corp. in an all-stock deal valued at $2.44 billion US. The resulting company will be a Linux powerhouse. The combined organization, under the Corel name with headquarters in Ottawa, Canada. November 1999 . . . Intel unveiled new details about its upcoming line of 64 processors and announced the name of the first 64 processor, to be called the Intel® Itanium™ processor. 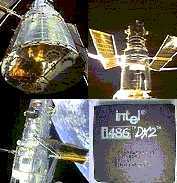 Previously known by the code name Merced, the Itanium processor employs a 64-bit architecture. October 4, 1999 . . . IBM has set a new computer data storage world-record of 35.3 billion data bits per square inch on a magnetic hard disk -- a 75 percent increase over the 20-billion-bit milestone the company achieved less than five months ago. The 10,000 RPM Ultrastar 72ZX is the world's highest capacity drive at 73 gigabytes (GB). July 14, 1999 . . . IBM today announced the availability of 1 GB SDRAM DIMMs for PC servers and work stations. These are the highest-density industry-standard DIMMs available on the market today. To achieve a 1 GB density on a standard 168-pin DIMM, IBM utilizes its proven stacking technology, enabling the highest possible memory density on a card. 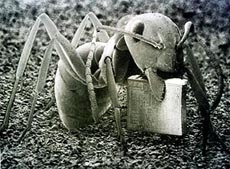 June 21, 1999 . . . Japanese electronics companies have developed a micro-machine the size of an ant that can crawl around thin pipes, inspect and even fix problems at power plants. The box-shaped robot is only 5 mm long x 9 mm wide x 6.5 mm high. June 17, 1999 . . . IBM announced today it has started shipping the IBM 340 megabyte microdrive, the world’s smallest hard disk drive. 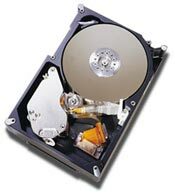 The microdrive has a disk platter the size of a large coin and weighs less than a AA battery.